The quality of our wine comes first of all from the grapes, which grow in the heart of Tuscia, in the splendid setting of the Tiber valley. The property extends over 16 hectares, of which 12 are vineyards. 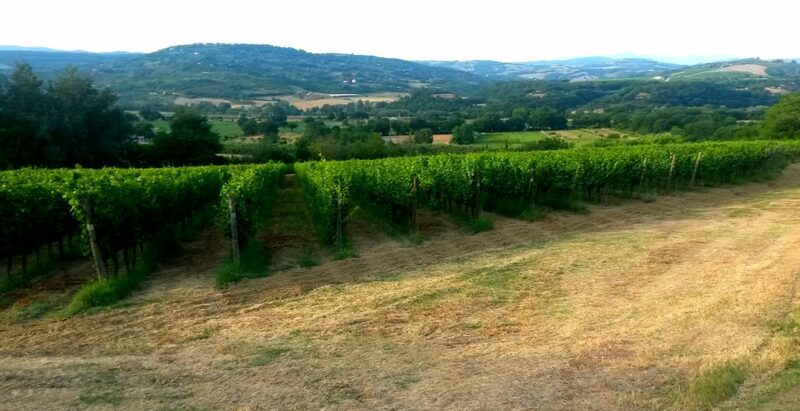 In a hilly position, vineyards overlooking the Tiber Valley, enjoying an exceptional view. The vines (planting 2.30 x 0.80 with 5450 plants / ha), reared by guyot and cordon spurred systems, gave their first fruit in the 2007 harvest. All operations related to the running of the vineyards are carried out strictly by hand in order to achieve the best quality not only of the finished product but also of the surrounding environment. 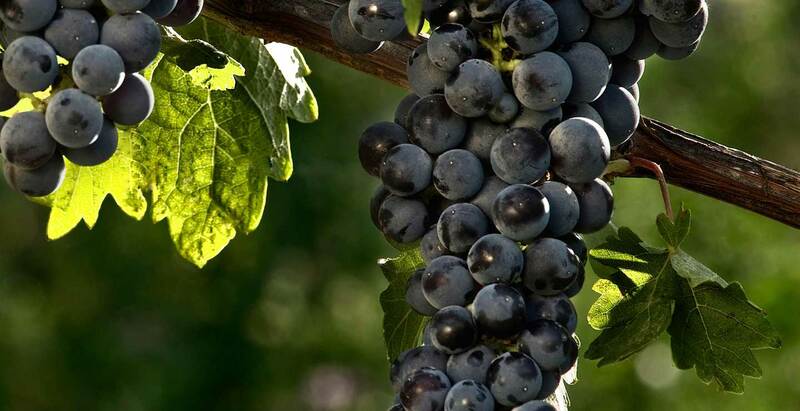 Manzoni, Chardonnay, Violone, Sangiovese, Petit Verdot, Cabernet Sauvignon, Canaiolo, are the main grapes cultivated on these clayey, slimy soils, which give important wines rich in texture and color. Excellent sun exposure, favorable winds in the Tiber Valley, a strong thermal hike, contribute to a perfect ripening of the grapes. The original geological conformation of the territory is of extreme importance. It’s here that the roots of the plant absorb nutritional substances that affect the character of the wine. Our clay soil gives very important wines: intense pigmentation – complex olfactory sensations – richness of alcohol – softness – longevity. 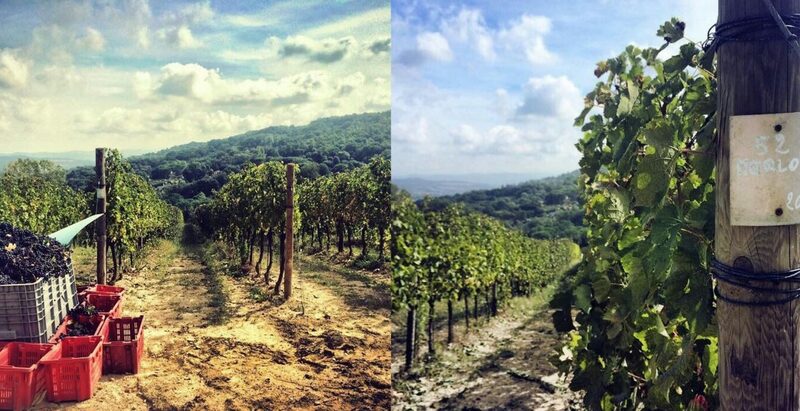 The geographic and climatic conditions guarantee excellent salubility to the vineyards. 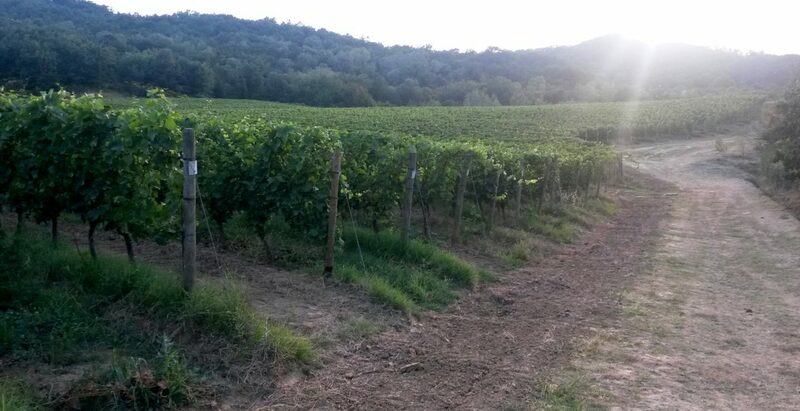 Our estate is benefited from strong thermal day / night excursions due to the fresh winds that are created on the Tiber Valley, thus ensuring intense aromas and perfumes to the grapes. Exposure is optimal as almost all of the vineyards are on south / east and a south / west side. 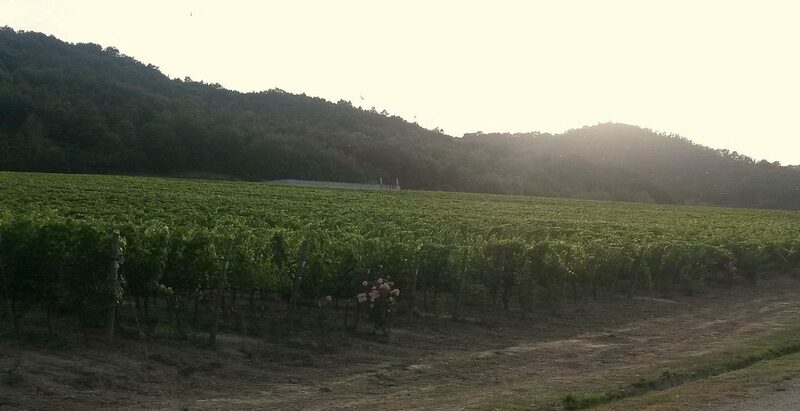 Sun rays warm the earth and grapes for many hours during the day. 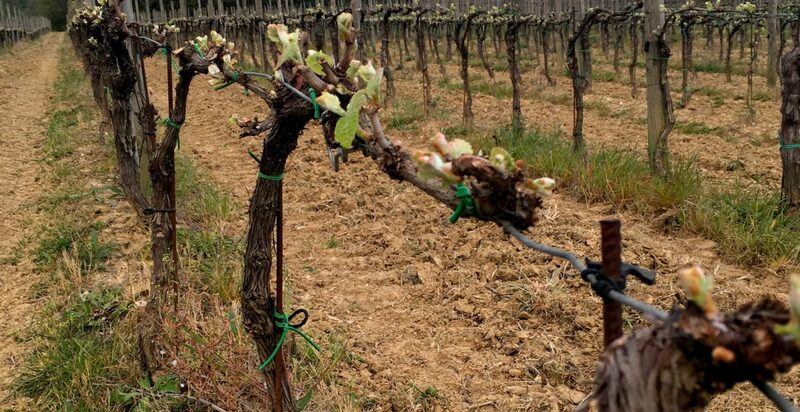 As a pioneer in terms of respecting the environment, we make a sustainable viticulture. Our choices are inspired by the desire to obtain the best quality of grapes always in the highest respect of the plant, soil and everything surrounding the vineyards. 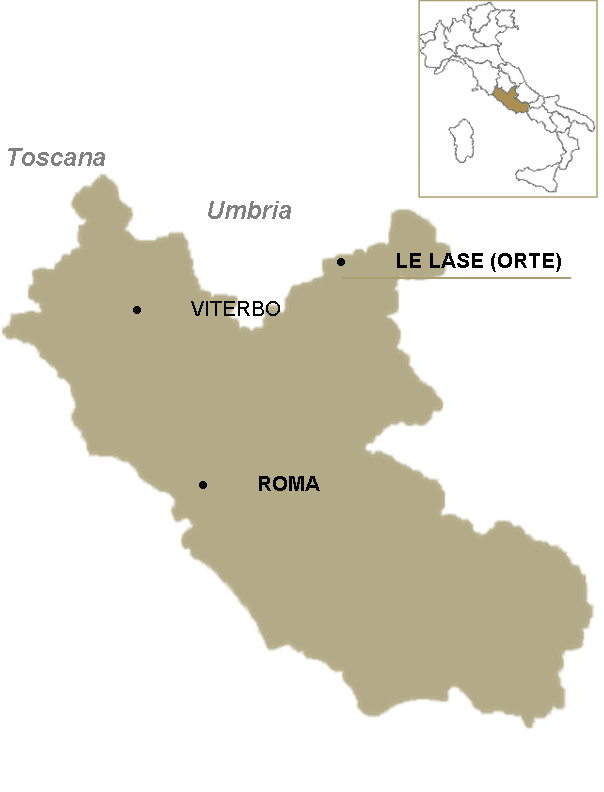 The Tiber river course is the eastern boundary of Tuscia Viterbese: ancient limit between Etruria and the Italic land, today it is between northern Lazio and Umbria. The Tiber valley has played, in antiquity, a key role in the relations between the peoples of ancient Italy. Numerous studies and research show that the Tiberin valley has been the main communication channel (by overland land and by river) of central Italy since prehistoric times. Along the river course goods, animals, people, ideas are transited thereby contributing to the birth of our country’s culture. In the Etruscan age, several towns and villages developed along its course, thanks to the control of the traffic that passed on its territory: among these Orte, also called “river city”. The visit to the farm is a pleasant experience beginning with the vineyards and ending with a glass of wine in the hand, delighting some of the typical specialties food of our area. It is in the glass, during the tasting, that you can fully understand the work and passion we dedicate to the vineyard first and then to the cellar. 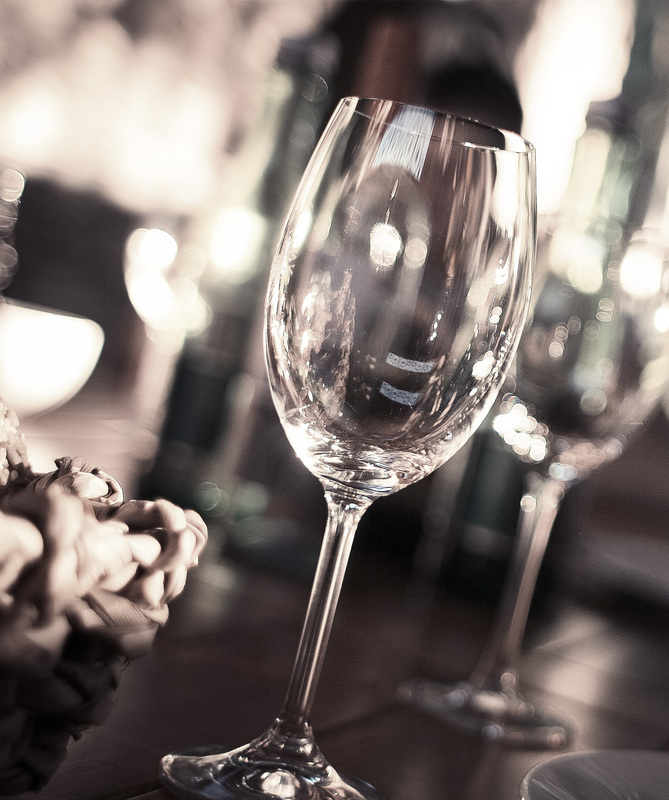 We look forward to you – for visits and tastings in our estate – every day on reservation.